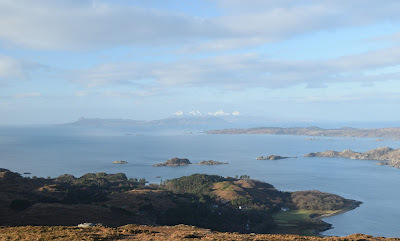 Scotland is a land of many waters. While a few rivers were bridged in the middle ages or earlier, it was well into the 20th century before many of the ferries across Scotland's firths and kyles were made redundant - the fords of Benbecula, the islands of Skye and South Ronaldsay, the kyles of Ballachulish, Connel and Kylesku, the firths of Beauly, Dornoch, Forth, Clyde and Tay. These bridges have helped halve the journey time between Northern Scotland and the Central Belt. A trip that would have taken twelve hours in 1960 now only takes six. There are still bridges and tunnels unbuilt. Where is the bridge to Bute, the tunnel to Unst, the A9 extension to Orkney or the connector between Kirkcaldy and Leith? 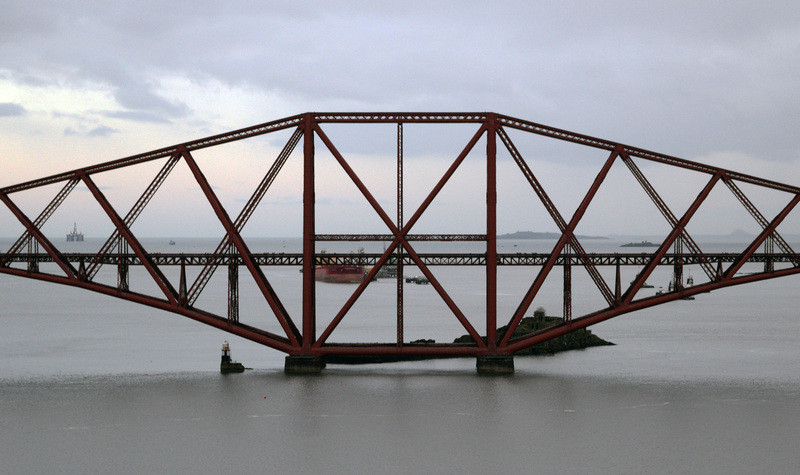 But if people in Scotland are talking about The Bridge, there is only one they can mean. The only one that gets committees set up in Parliament about it. 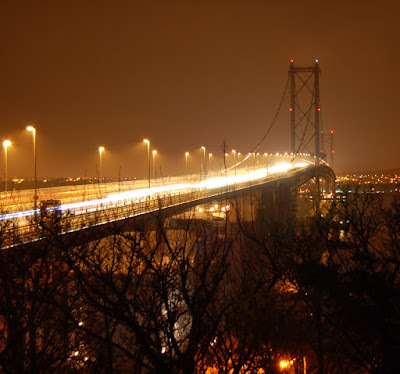 The one that links Edinburgh with Fife and points north - the Forth Road Bridge. When the bridge closed unexpectedly recently , I was keen to take a look. The bridge being closed to traffic solved a previous dilemma when I had tried to take a photo of the Forth Bridge (the original rail one) at night with a tripod from the road bridge. But the weight of traffic meant the tripod vibrated hopelessly. It turned out the road bridge was closed to pedestrians as well as cars, but the idea of walking across it was planted in my mind. 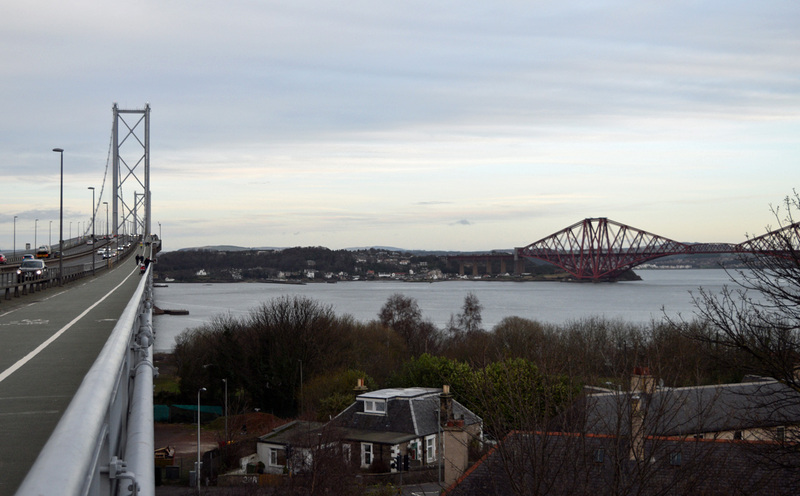 And so we arrived in South Queensferry on a dull and cold January day. Just an afternoon stroll, but from here, across the bridge and back is five miles. South Queensferry is officially in Edinburgh but is an old established town in its own right, with more character than an Edinburgh suburb and a history dating back to the 11th century. 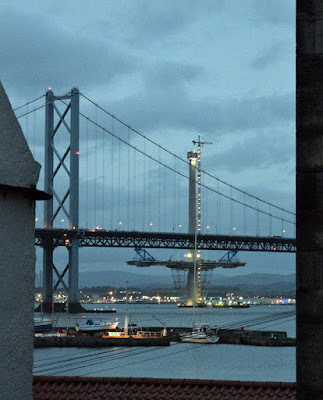 We parked under the Forth Bridge and wandered through the old town with other daytrippers, heading for the 1960s road bridge. The second road bridge, named the Queensferry Crossing, can be seen under construction in the background. 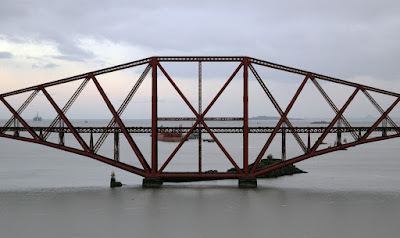 I got my photo of the famous Forth Bridge, its skeletal silhouette interesting even on a dull day. 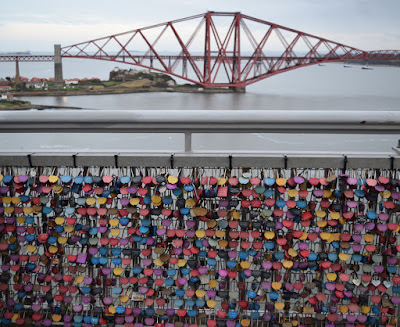 Even here, on the pedestrian promenade of the Forth Road Bridge deck, exposed to chilly blasts off the North Sea, the fad for love locks (popularised by author Federico Moccia in Ho voglia di te) is apparent. This part of the bridge even seems to be specifically set up for them. 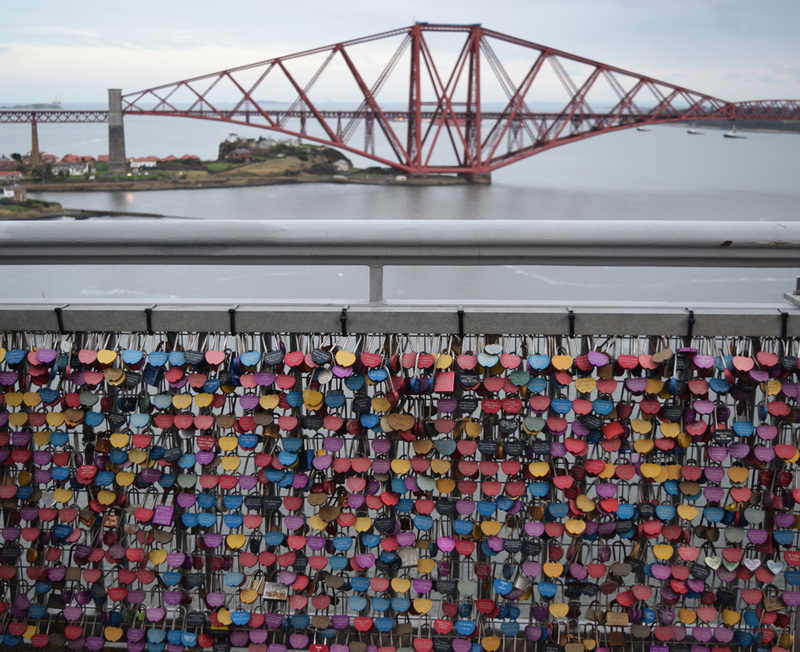 Close at hand, North Queensferry. But at the end of the bridge we turned around and retraced our steps, light fading and keen to get home to some hot soup and a fire. Nice photos of the bridge. 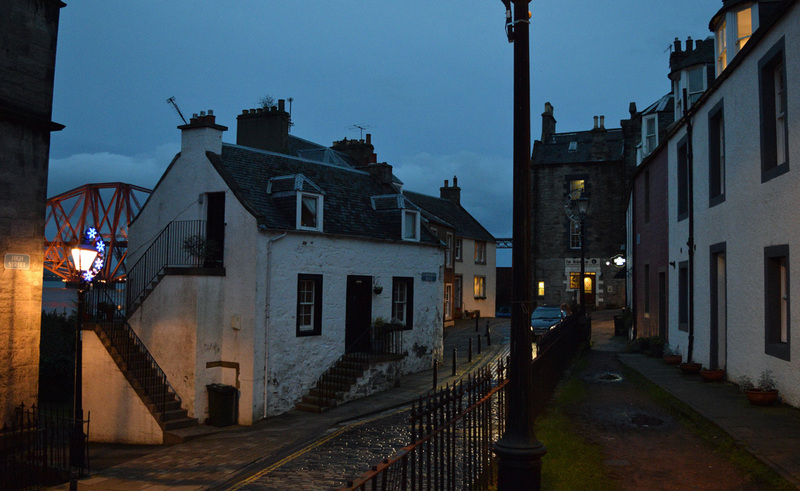 I like both places either side- North and South Queensferry, as they have real character about them. Pity they didn't do walking tours over the structures like the Sydney Harbour Bridge as I'd be in the queue for that.